Hunter Douglas Parkland™ Wood Blinds offer over 40 colors and stains, four operating system options and three slat sizes to personalize your windows for your every day needs and style. Our staff at At Home Designs can help elevate your home decor to a new level of sophistication with Parkland™ Wood Blinds. Take advantage of innovative and beautiful upgrades with Hunter Douglas window treatments. If light-leaks produced by cord holes are bothersome, you can reduce light leaks in your wood blinds with the optional de-Light™ system. You can also upgrade and add a Parkland™ cornice to your treatment. We invite you to visit the At Home Designs showroom in Hockessin, Delaware to explore these exciting options. Parkland™ Genuine Wood Blinds are offered in a 2″ slat size and crafted from genuine oak and cherry wood, harvested from sustainable North American forests. Parkland™ Reflections® Wood Blinds produce the look of shutters with 2 1/2″ slat sizes and open up wide to view more outside. 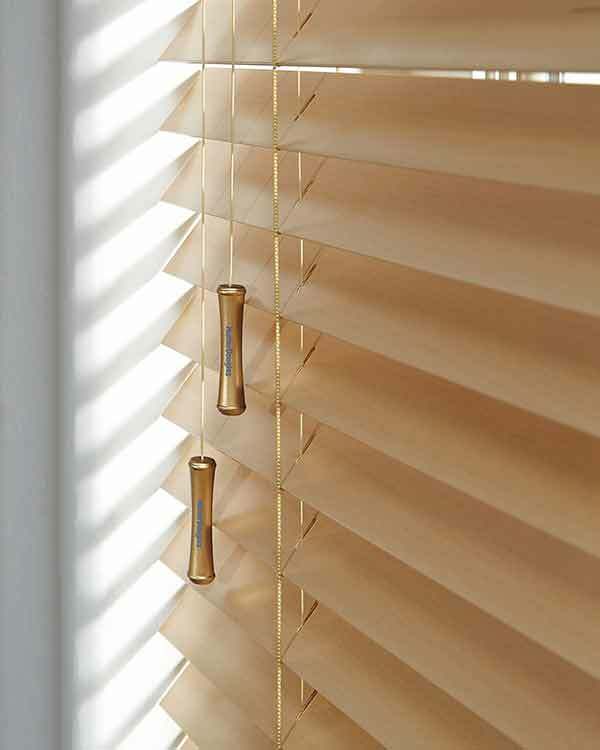 Parkland™ Classics™ Wood Blinds offer the widest selection of color options with three slat sizes; 1 3/8″, 2″ or 2 1/2″. From elegant Parkland™ Genuine Wood Blinds to the wide variety of colors and stains offered from Parkland Classics™ collection, our staff is ready to help you navigate the many options to find the perfect choice for your home. Hunter Douglas offers four choices for operating Parkland™ Wood Blinds. See how they work in the video below.